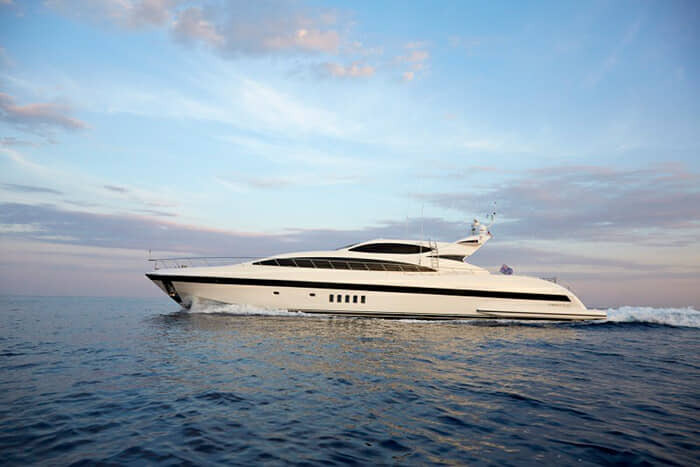 Are you seeking a super high-end, sleek & sporty yacht for your next Bahamas charter?Terrific, then look no further than ALLURE, a 2004 103’ Mangusta 105 sport model yacht built by Italian shipyard Overmarine. 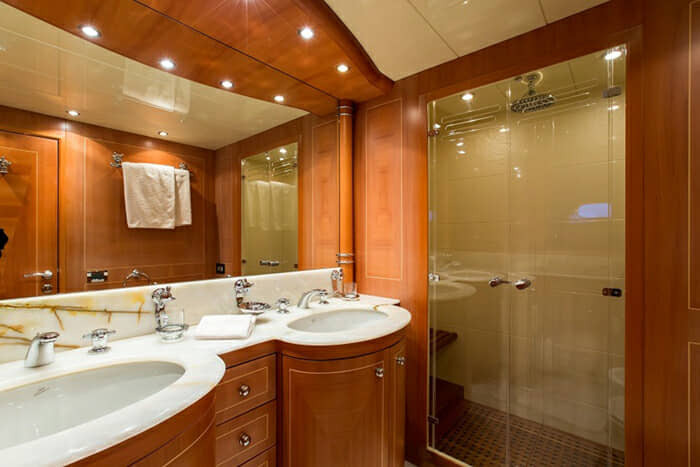 She was last refit in 2015. 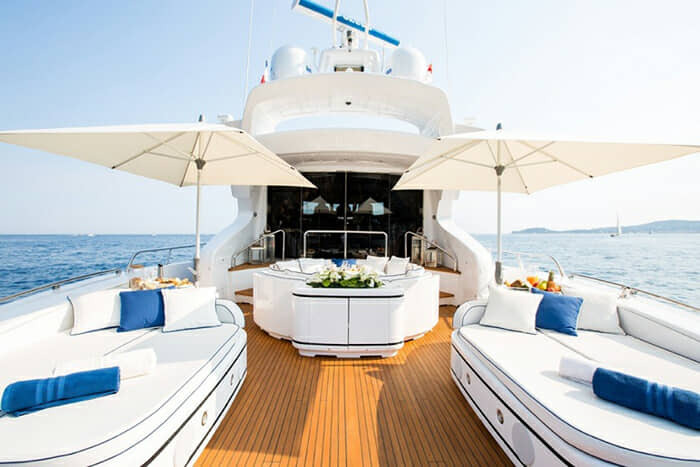 Her luxurious interior is the work of the acclaimed Overmarine design team, and her exterior styling is by the even better-known Stefano Righini. 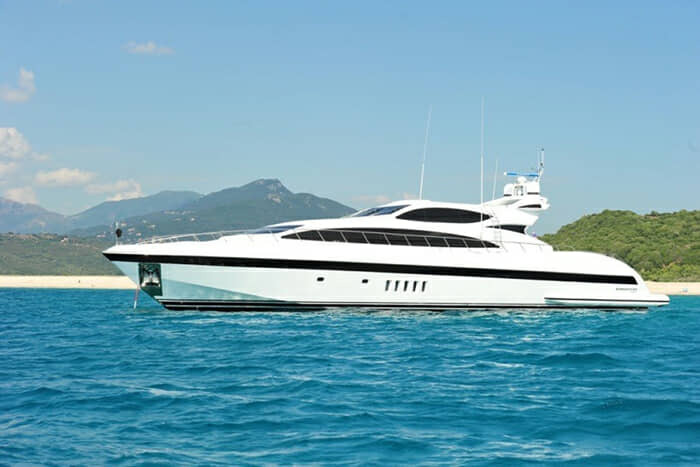 This Mangusta is supremely comfortable, indulgently spacious, and lightning fast. Rich woods and fine marbles are the hallmarks of ALLURE maybe that’s where her name came from? 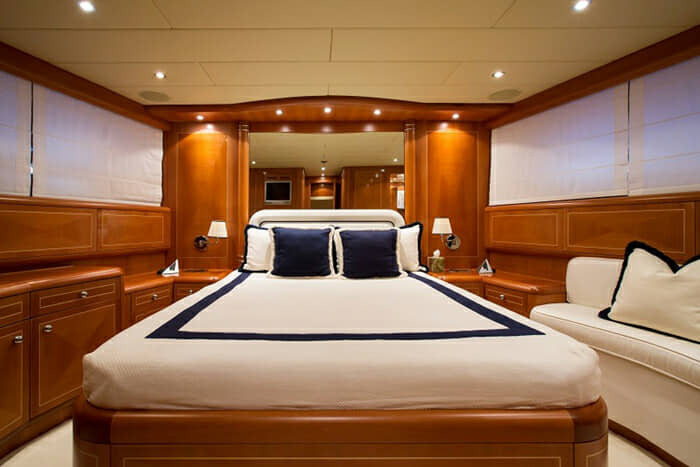 Maybe not though – after all, her main deck salon, which is adjacent to the aft deck, boasts a retractable hard top, that allows sunlight to come pouring in (as desired). 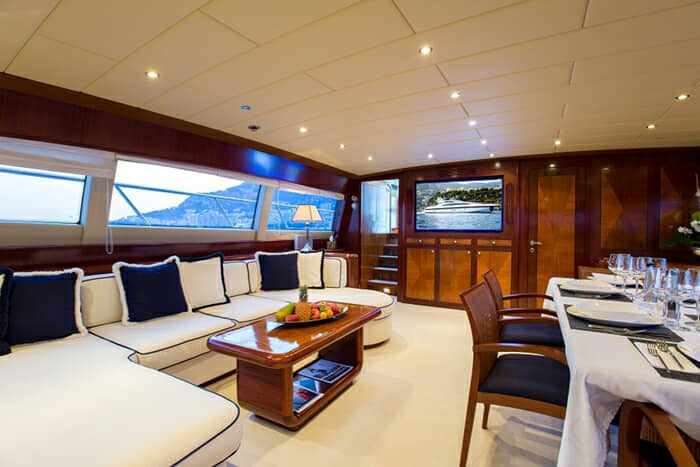 The salon also features a lounge area with matching white sofas, a full bar, and a deluxe entertainment center – we threw the “deluxe” part in, because how else could one describe an absolutely massive plasma television screen and a Bose stereo surround sound system. 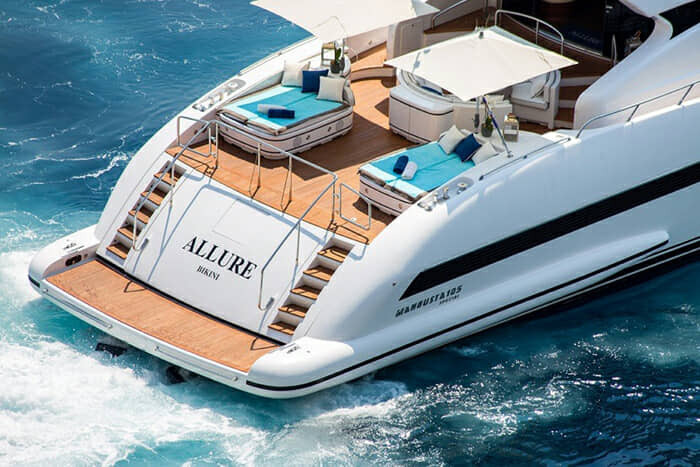 ALLURE’s second salon can be found below deck. 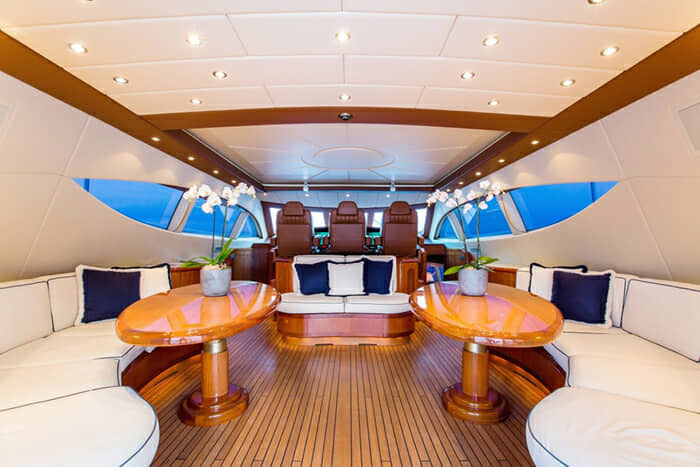 Another great area in which to relax, this salon has a large white sofa, a coffee table, (yet another) entertainment center, and a formal dining area that accommodate up to eight guests. 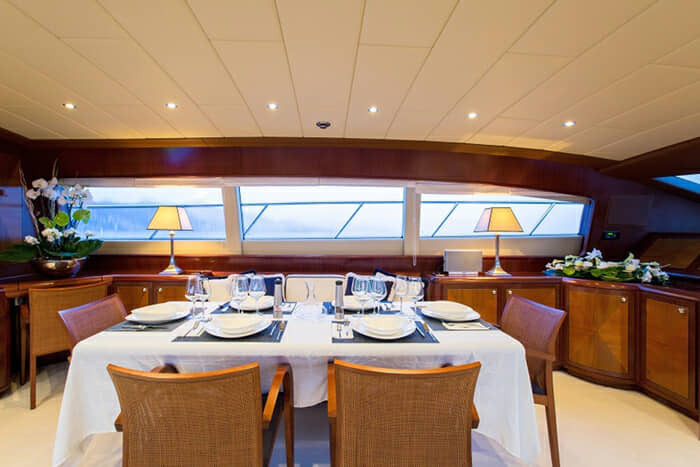 Nearly floor-to-ceiling windows will ensure that there is more than enough natural light down there. 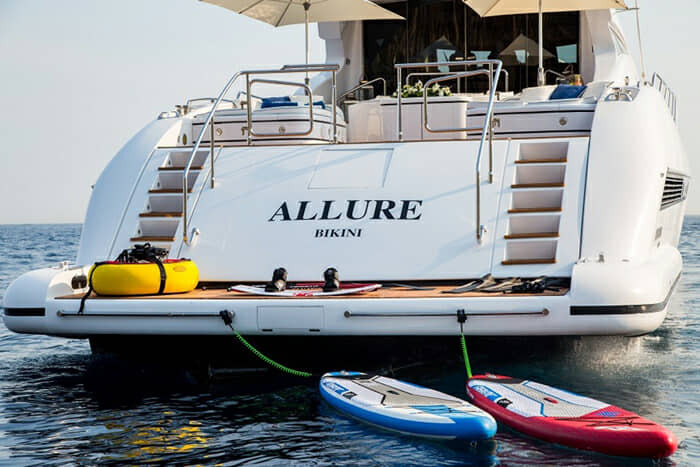 While it might be tempting to spend all your time in the luxe indoors (we’re kidding), the exterior spaces of ALLURE have much to offer – in fact, everything you could possible want for dining, entertaining, or downright unwinding can be found outdoors. 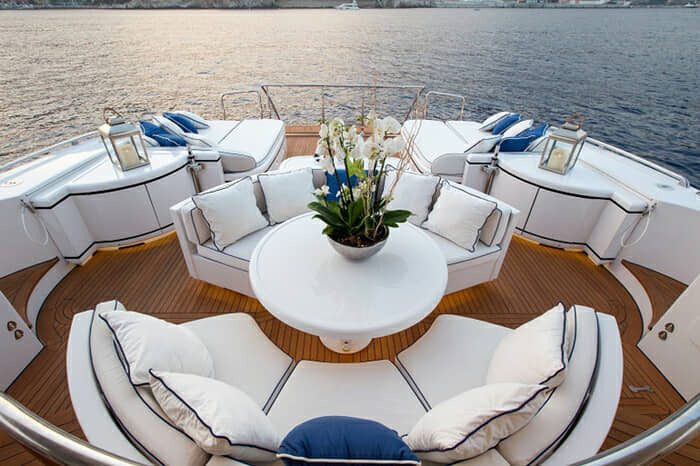 And that starts with the aft deck, which features a half-moon upholstered seating area around a circular table. 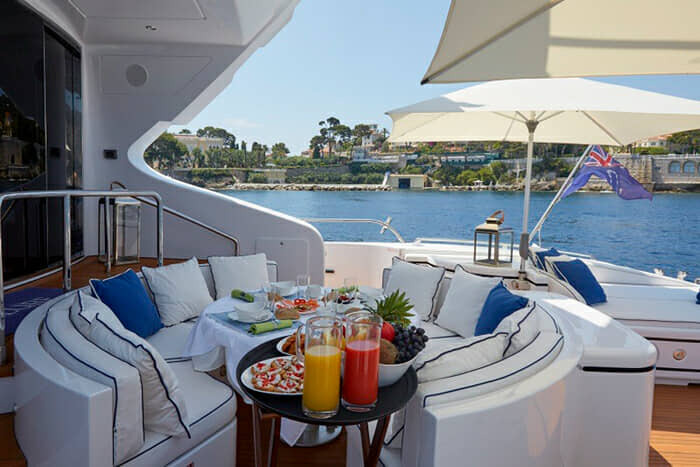 Delicious cocktails, decadent snacks, al fresco meals, and stimulating conversation are practically a “must” for this area. 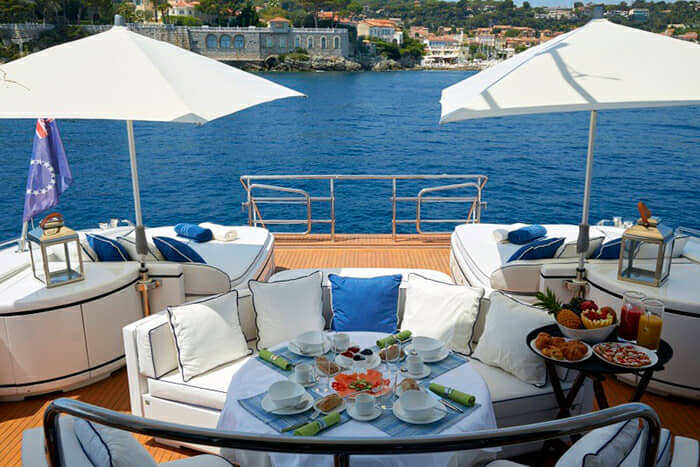 The aft deck offers a stunning view of both the swim platform and, of course, the sea. 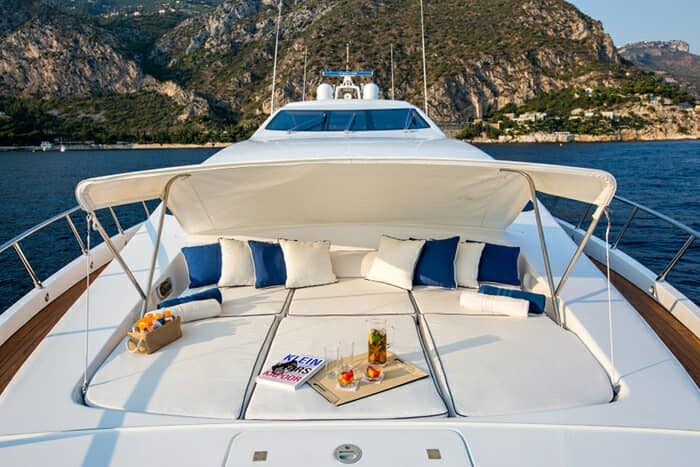 It also offers a selection of sundaes, two large parasols in case shade is required, and, of course, a hot tub (very important!). 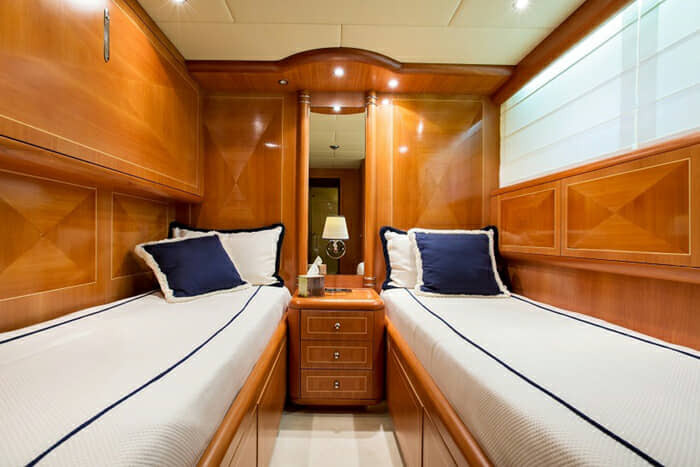 If you’d like to escape for a bit more private sun worshipping, then look no further than the yacht’s foredeck. 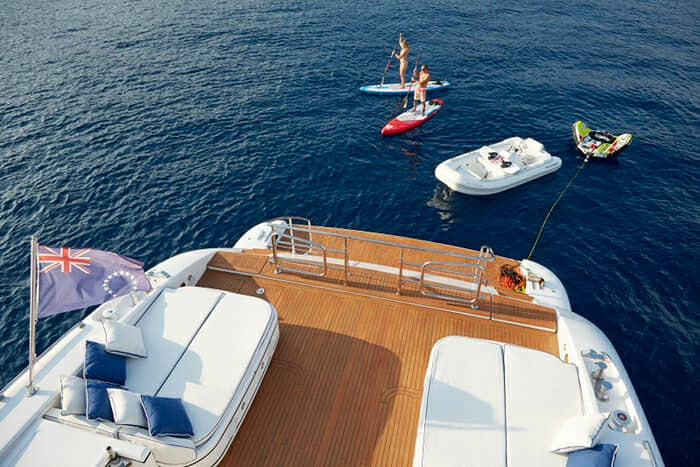 Finally, it would be hard to top ALLURE in terms of water toys & sports – with a kayak, stand-up paddle boards, a wakeboard, a rubber ring for two, snorkel gear, fishing equipment a subbing board, AND a 38′ Triton tender, you’ll have everything you need.